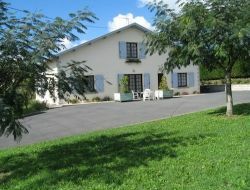 Pleasant holiday cottage for 4 persons in the countryside, in 7 mn from the center of the village, where the municipal swimming pool, the lake of Luc, tennis lessons and various festivities wait for you. 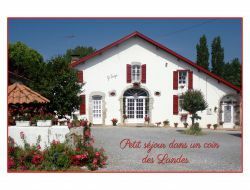 The gite is in 15mn from Dax, spa town, in 45mn from the beaches of Landes and 1h from the mountain. 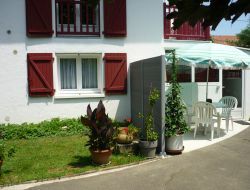 Holiday cottage on the ground floor of a house, with raised enclosed garden, in 2 km from Bayonne and 9 km from the ocean. Car park in front of the rent. In 1km from Bayonne, in the peace, the rent of a holiday cottage in the owner house with green and flowery garden, in front of a copse, with covered terrace. 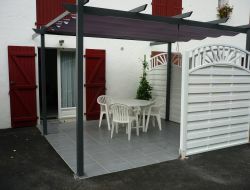 Rent of a holiday cottage in Tarnos, in the South of Landes and near the Pays Basque. Semi-detached house on the same level, giving onto covered terrace, closed garden and private car park. 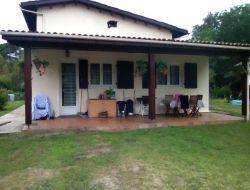 Holiday home with 2 bedrooms (1 double bed, 2 single beds), kitchen, living room, lounge. Non-smoking, WiFi supplied sheets. Beach in 3 km. Cycle track in 300 m. Pets not allowed..
Holiday cottage situated in a semi-detached house, in 300m from the center of the village and the shops, in 30mn from the Atlantic Coast, in 15mn from a magnificent lake. 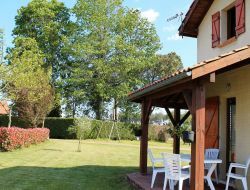 The gite includes a fully-equipped kitchen, a living room with tv and wifi, two bedrooms. Covered terrace with plancha. 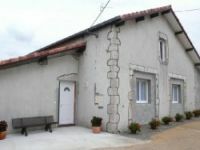 Rent of a holiday cottage 3 stars for 2 to 4 people, fitted out in a part of a typical 17th century farm of the Landes (Aquitaine) in 15 km from Dax between the hillsides of Chalosse and Pays Basque not far from fine sand beaches between the ocean and the mountain. Holiday cottage all equipped with independent entry. In the Landes, Capbreton, apartment with terrace for 5 people, located in a new residence, 200 m from patrolled beaches, 500 m from a shopping center and 1 km from downtown. Spacious and comfortably cottage in lush greenery and flowers. Disorientation among palms and banana trees, you will appreciate the calm and can taste the joys of walking outdoors or from the beach. 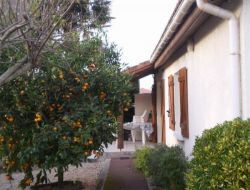 Gite of 56m² for 4 persons adjoining in another accommodation in a big house. Holiday cottage in the peace, in 30 minutes of beaches, surrounded with green spaces, fields of corns and plantations of kiwis.